Upcoming Sustainability Dinner and Arbor Day in Aggieland! Residence Life is excited about all the sustainability events right around the corner! Residence Life has been preparing for the Residence Life Sustainability Dinner on Thursday, Nov 10, 2016 at 5:30pm in Hullabaloo. Professors studying many facets of sustainability will attend to talk with residents/students in a relaxed, fun environment. If you are a student in the residence halls, RSVP using the link sent to your email titled “Invitation to Residence Life’s Sustainability Dinner.” Seriously, we want to see you there! The evening will conclude with the Sustainability Awards ceremony. The Awards recognizes the efforts of students and staff striving to be sustainable. We are excited for this opportunity to acknowledge Aggies who are going above and beyond in making sustainability an Aggie tradition. Feel free to nominate yourself or someone else for a reward(s) by following the instructions under “The Sustainability Awards” link on this website. We will also reveal some exciting opportunities for sustainable Aggies next semester. Don’t miss it! 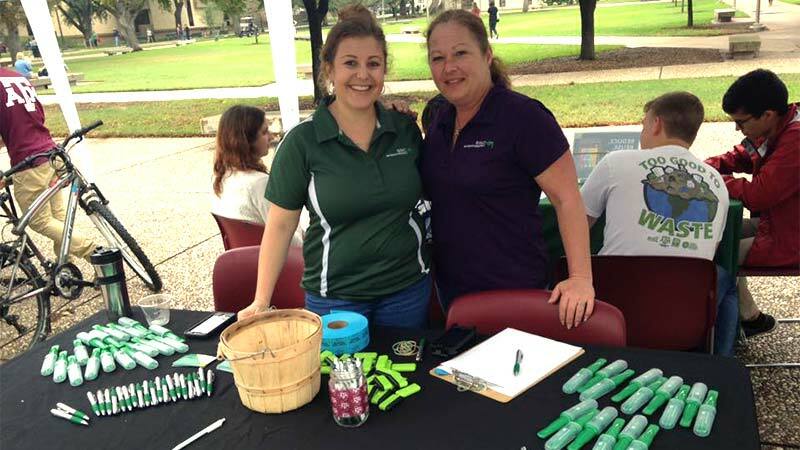 Finally, TAMU celebrated Arbor Day this Friday in Ross Plaza with great food, booths from student organizations, and a drawing for a seed from THE Century Tree. Arbor Day is a national event that highlights the effort to replant trees in damaged areas of the nation’s forests. SSC, Chartwells, and the Office of Sustainability hosted this event and Residence Life included it in the ResLife Sustainability Challenge. We hope to you see next week!